Dave East and Vado get together once again for their "Nice For What" freestyle. Dave East fans have been nothing but blessed as of lately since the rapper's been dropping a whole heap of new music nearly every few days. The rapper's been working closely with Vado for the majority of the releases. Whether it's on an original beat or freestyling over another rapper's production, they prove to have excellent chemistry on wax together. They previously linked up to drop a freestyle over Tory Lanez' "Hate To Say" for "Da Hated." Now, they come together for a new freestyle over another Toronto native's new single. 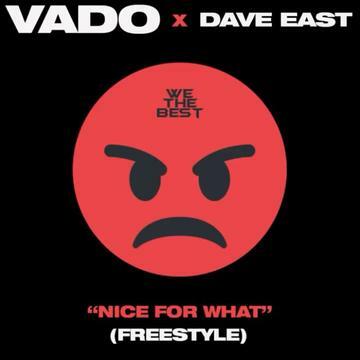 Dave East and Vado go off over Drake's "Nice For What" for their latest release. The two rappers continue to tear through collectively with their releases. The two rappers detail what a real "ride or die" is on this latest effort. Vado kicks off the freestyle for the first half and even puts his own spin on Drake's version to fit their collab. Dave East comes through for the second half and tears it up. The release of the "Nice For What" freestyle follows their collab on "Blue Hundreds" from a week a go. In addition, Dave East recently hopped on Wale's "It's Complicated" for his own solo release.